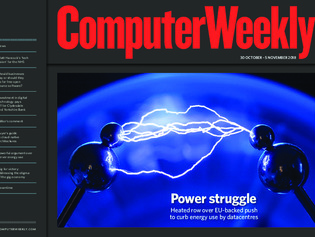 In this week’s Computer Weekly, a row is brewing over an EU plan to curb datacentre energy use, and the leading server suppliers are not happy - we analyse the details. Secretary of state for health and social care Matt Hancock talks exclusively to us about his new technology vision for the NHS. And we examine the growing popularity of short-term “gig” employment for IT professionals. Open source software is free, but many businesses are happy to pay for support. However, this model tends not to scale well, making wider deployment expensive. We weigh up the options. Fraser Ingram explains how he joined CYBG as CIO just as the group was embarking on its digital journey.